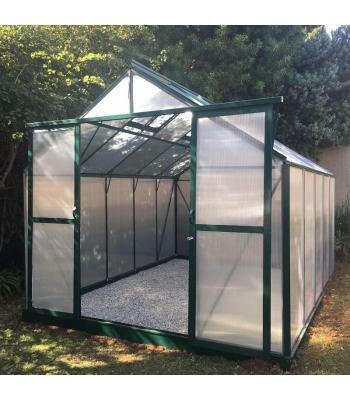 The Gro Gardener is a strong, durable greenhouse with a green powder coated aluminium frame. It provides much more volume than the smaller Easy Gro unit. With a height of 2.4m tall, 2.75m wide and 9m in length, it is roomy! It features two sliding doors creating a large opening for easy access. 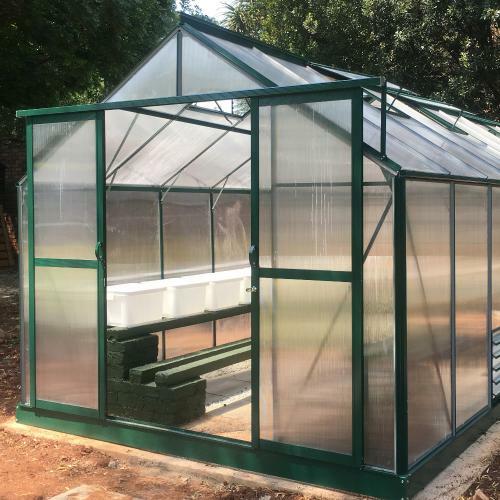 The base frame is included and this can be used to install and fix the greenhouse directly into the earth – so no building is needed. You can, of course, choose to build yourself a foundation. Clients are free to customise this to their specific needs. 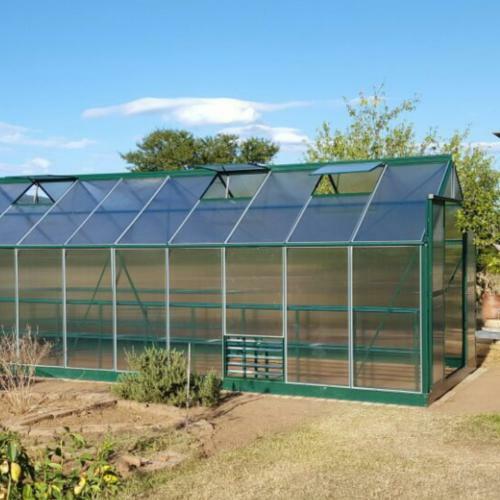 The Gro Gardener is made with UV Protected 6mm thick, twin-walled, hailproof, polycarbonate panels. 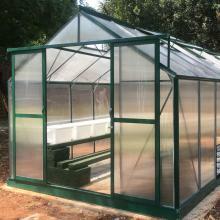 This provides a diffusion of light, as well as insulation to help regulate the temperature within the greenhouse. The frame is made of 1.3mm thick aluminium which is powder coated in green. It is flat packed and can be delivered anywhere in South Africa by courier. It comes with stainless steel bolts and nuts and an easy to follow assembly manual to allow for DIY installation. 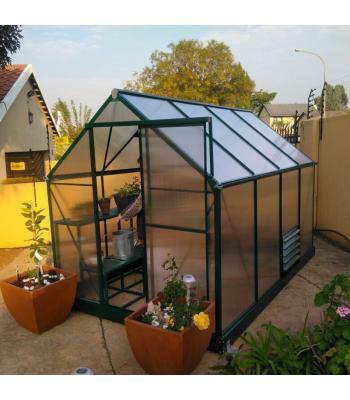 Please see the related products / accessories below for add-ons to the Gro Gardener kits to create your own custom greenhouse to suit your needs. This unit is 2.4m high and 2.75m wide and 9M Long. This is a standard Gro Gardener unit of 3.5m long PLUS 2 x Gro Gardener EXTENSION KITS added to give the total length of 9m. The EXTENSION KITS come with 2 additional roof vents and one more side louver vent EACH, so you will get a total of 8 roof vents and 3 side louvers in this kit. It features two sliding doors creating a large opening for easy access.